So I think is a great thing to happen for the games overall. Yeah, there might be some flaws that Kickstarter system might deliver, but lets focus on what's worth. So far there were many great projects funded (mostly adventure games and RPGs,) and hopefully there will be more in the future. If you find an interesting project, tell us about it here, so we can check it out and don't miss it. Project Giana - it's a great what they're doing, but they're far away from funding it. Volgarr the Viking - these guys are really dedicated to their game. 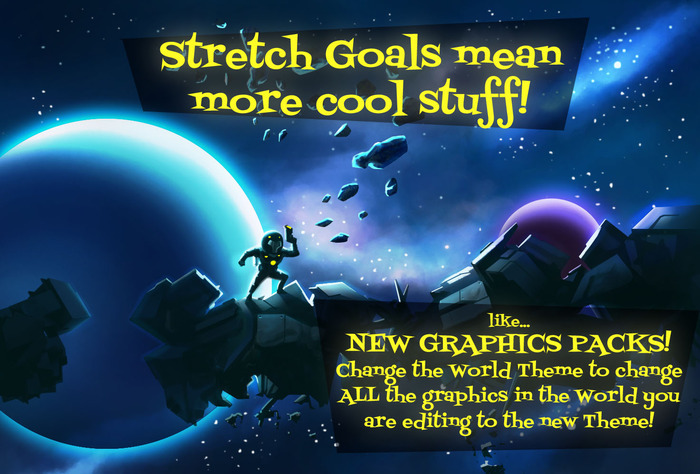 It's funded, but there is an awesome stretch goal. Depending on your tastes, there are some other worth noticeable projects, like Castle Story, which is already funded, or recently launched Jungle Adventure. Last edited by Roobar on Mon Feb 04, 2013 18:07, edited 1 time in total. I'm looking forward to the game being developed by The Two Guys from Andromeda (creators of Space Quest), though I wish I'd pledged some money to them to get some of those nice sounding bonus goodies (as well as the game!). I haven't really read much about Kickstarter as a whole, but I think it's an interesting idea having the game's investors being the game's eventual audience, as opposed to a bunch of suits looking for a profit as often seems to be the case. Kickstarter probably isn't going to enable funding for high-budget blockbuster titles any time soon, but it seems to be providing a way for developers to create the kinds of games they want to create (within reason, of course) - and not have to compromise their ideas/plans for whatever 'profit-safe' generic game publishers want them to make. That has to be a good thing. Is anyone thinking what I'm thinking? Oh yes, yes, I am seeing what you're thinking and I think what you're thinking! Oh wow! Nice b... Oh wait, no, that was the wrong crystal ball. Darn it Molly! Get off of my psychic wavelength! A brand new Broken Sword in the works! Also, be sure to check Project Giana tomorrow because they'll release 2 levels for free! update: The demo is out and it's really great! Update: Project Giana is successfully funded! So does the new Broken Sword! A new project grab my attention: Pro Pinball Revived and Remastered! A new Pro Pinball table + the old ones remastered! If you haven't played any of the Pro Pinballs, you've missed a lot. Check out a new kickstarter project by Tom Hall! - An Old-School RPG by Brenda Brathwaite and Tom Hall! By now you most probably know about Tom Hall's latest project - Worlds of Wander. Go and back it if you haven't done yet. In my opinion, that is his best decision he could make! I really want this time the project to succeed! 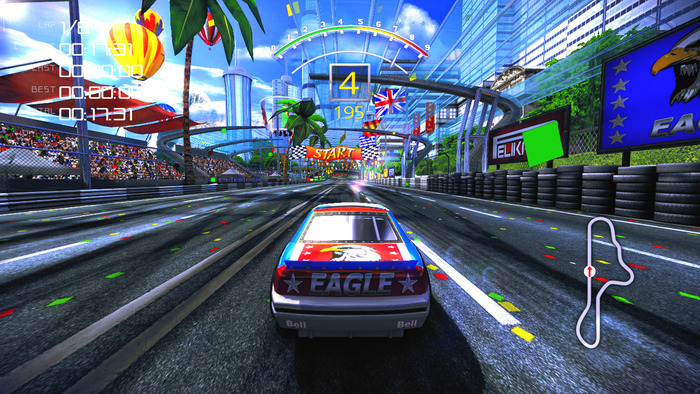 I would also like to make a shout-out about this project - The 90's Arcade Racer. It's looking really cool, needs just a few more bucks to achieve its goal and it's made by the guy who made Sonic Fan Remix. Thanks for this thread, please post more if you find them. wiivn wrote: Project Giana - it's a great what they're doing, but they're far away from funding it. But ohmyword that's a neat game idea. This is some very interesting campaign. Not the game itself, but the campaign. A 9 year old girl (just 1 year older than Billy Blaze) decided to make an RPG only to prove her mean brothers wrong. The goal she was aiming at was $829 to buy a laptop and to go to a campus, but now she got $19,180 and there are still 27 days left! That's an amazing response to a game that probably won't live up to the expectations. This story turns out to be a life changer for the whole family. Now they're at the moment where they're dealing with haters and disbelievers. It will be interesting to see where all this will went and how the family will deal with it in the end. Read more on the story and the updates: 9 Year Old Building an RPG to Prove Her Brothers Wrong!. It will be an inspiration story or a laughable waste of money depending on who you ask. 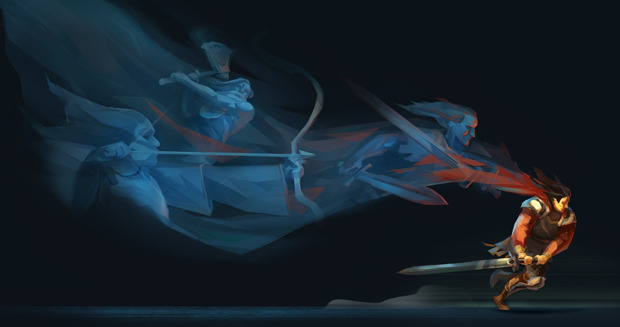 Well, apparently, the all famous Tim Schafer wants you to fund another game project MASSIVE CHALICE, while his company Double Fine Studios didn't complete their first game as of yet. But the prices and their goals are a bit higher this time. Plus, the kickstarter euphoria is long gone now, so there might be a chance that this time it won't be as successful as their first project. But we'll see about that. As of late, I'm much more interested in this project: Pixel Press: Draw Your Own Video Game!. The idea is really simple, yet ingenious! 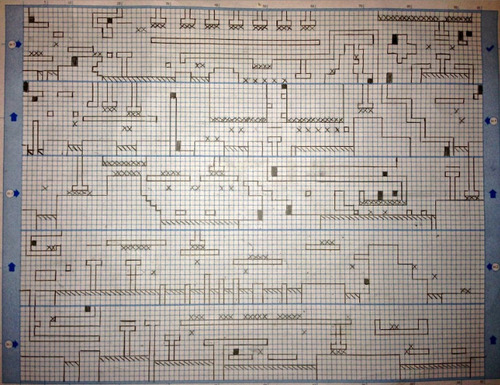 You simply draw a level, scan it and make a real level out of it! If you like this idea, please support this one! Nelly Cootalot: The Fowl Fleet! (Retro Pirate Adventure) - I actually played the first one back then and although it wasn't spectacular, it was interesting and the art is cool. Stonehearth - maybe the next Minecraft? At least it's a sandbox and blocky, thus looks a lot like it. Pixel Press looks interesting, but I'm interested to know how effective its scan is - it's not all that hard to lay blocks in a 2D platformer on a PC after all. It's a nice tough to be able to see it laid out on paper though. It's a neat idea, and I suppose - like most iOS stuff - it mainly just has the value of novelty as opposed to actual practicality.